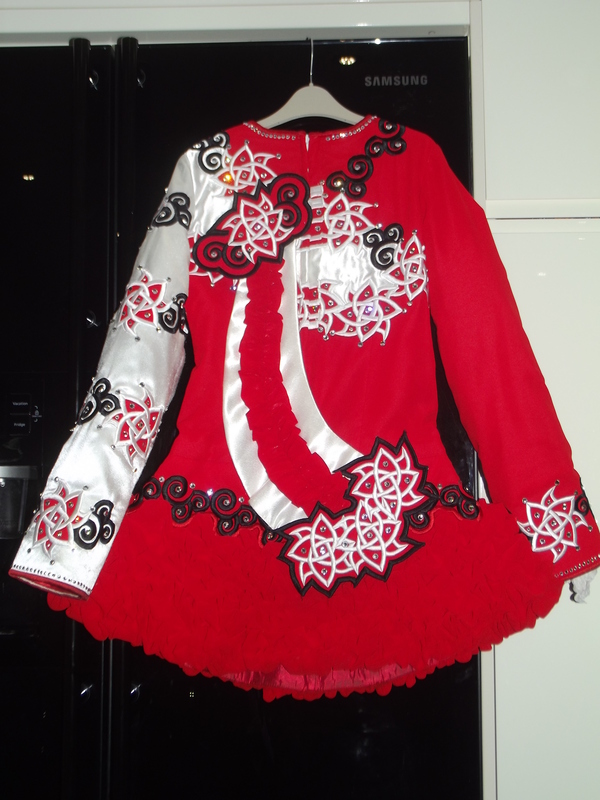 Stunning Elevation Dancing Dress in excellent condition, only one year old. Contemporary, stylish design synonymous with Elevation Dresses!!! 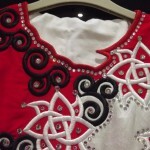 The bodice is an asymmetrical design in white satin and red crepe de chine, embellished with modern Celtic flower embroidery in black and white!! The skirt is a red ruffle layer design in a classy red crepe de chine material. 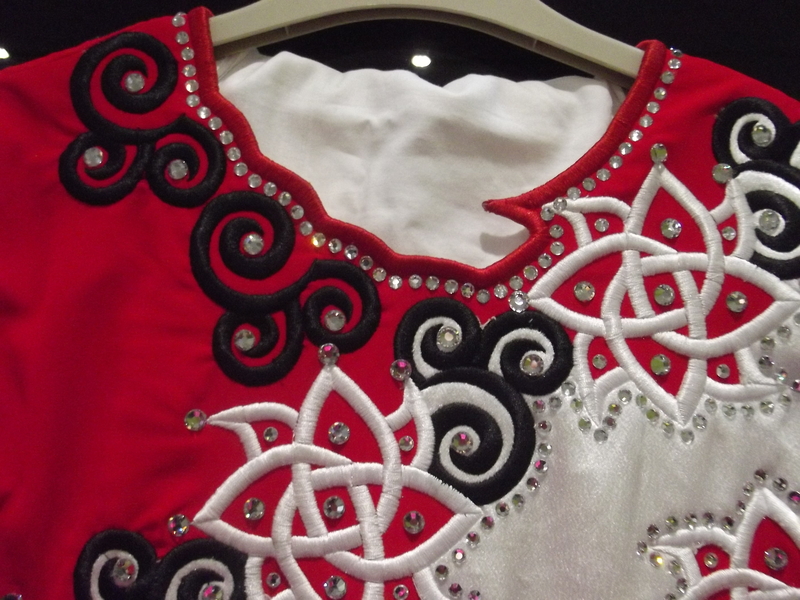 The bodice and sleeves are encrusted with high quality swarovski crystals that truly sparkle especially on stage!!! 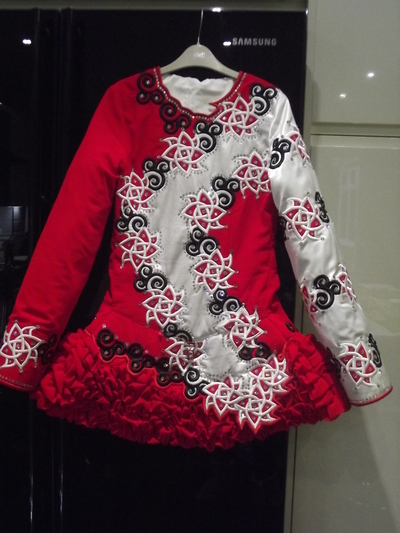 The dress is in excellent condition and would fit a 12-14 yr old but please measurements below for exact sizing!!! 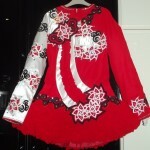 This dress is a truly unique quality contemporary Irish Dancing Dress in wonderful condition, a true bargain for any ambitious dancer!! Comes from a smoke and pet free household, with correct storage!! !